Routine participation in the Sacraments grants us God’s grace which redeems us, “…through the death and Resurrection of his Son” (USCCB Prayers and Worship, Sacraments and Sacramentals). All are invited to join us regularly for the celebration of Mass and are encouraged to seek our Lord’s forgiveness by making regular confessions. We also offer a number of youth and adult programs for continued faith formation, as described here. 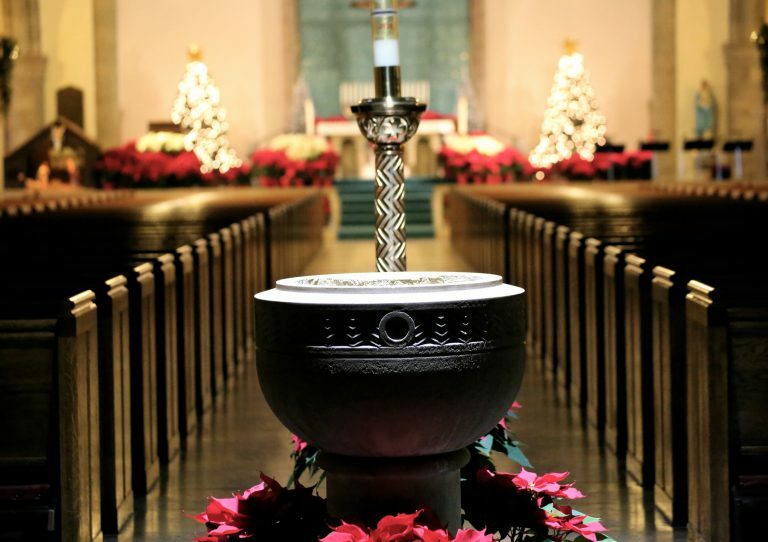 Sunday: 8 a.m., 9:30 a.m. and 11:30 a.m.
Saturday: 3 – 3:30 p.m.
Baptisms are held on the first and third Sundays, following the 11:30 a.m. Mass and the second Saturday, following the 4 p.m. Mass. All first-time parents are asked to attend a Baptism Preparation Class before scheduling their child’s Baptism. Please contact the Parish Office for class times and additional information. Based on Diocesan guidelines, couples should contact the Parish Office at least 12 months in advance of the intended date. A marriage preparation program is required. Please call (614)267-9241 for additional information.